Yes, we’ve mentioned this offer a couple of times, but as it would be more than annoying missing out on the last few points, here is the a final reminder of the 500 Clubcard points with PayQwiq offer which ends tonight. 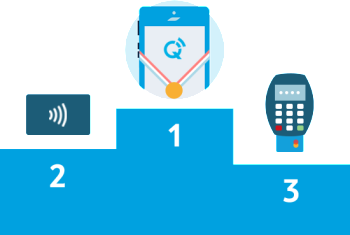 In total, you could earn 500 free Clubcard points when trying PayQwiq. All you need to do is download an app, link a credit or debit card and use your phone to pay. When in a Tesco store, you pay by scanning a barcode in the PayQwiq app. This automatically credits your Clubcard account with the relevant points and charges your linked credit card for the purchase. There is no additional cost, or saving, to paying with cash or a credit card. To introduce this new payment method Tesco was offering an extra 50 Clubcard points with each of your first 10 PayQwiq transactions as the Tesco Payqwiq site explains. This offer expires today (7th May 2017)! If you haven’t downloaded the app yet and started collecting the free points, you could do this now and do 10 separate shops (there is no minimum spend) in Tesco before the stores close tonight! You don’t need to do the full 10 shops – you still get 50 points for each one you manage. If you want to read more about PayQwiq, take a look at the details online. There is no minimum transaction size.